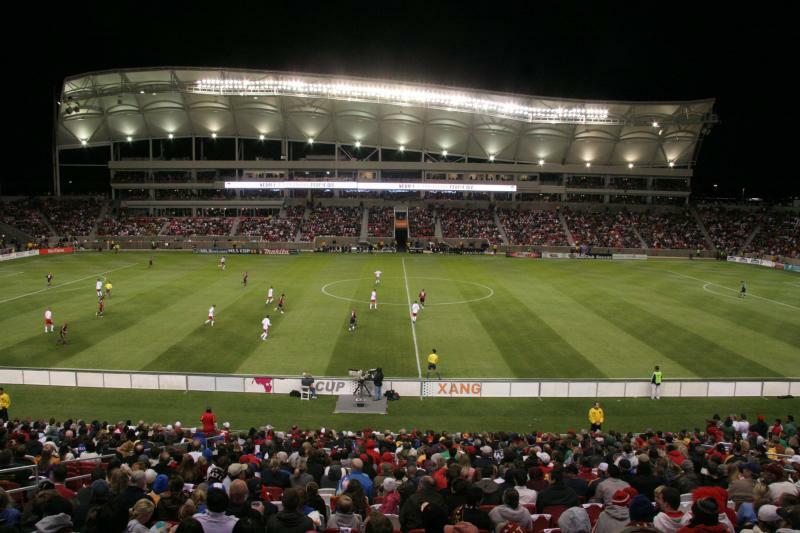 Rio Tinto Stadium was built between 2007 and 2008 at a cost of $110 million. 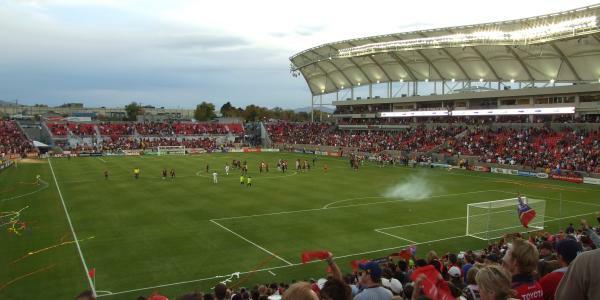 It officially opened on the 9th of October 2008 with a league match between Real Salt Lake and the New York Red Bulls. Rio Tinto Stadium’s most characteristic features are its waving fibreglass roof structures on the East and West Stand. The naming rights of the stadium were sold to mining company Rio Tinto as part of a 15-year sponsorship deal. 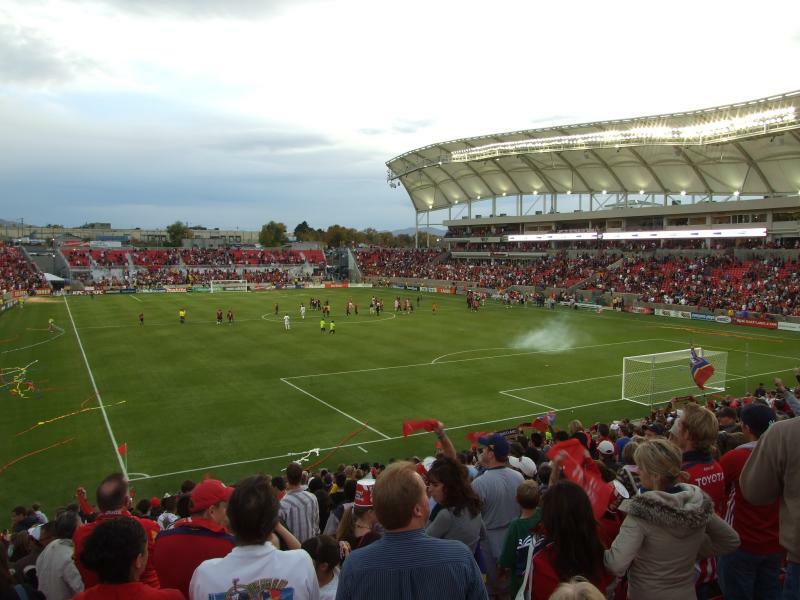 Rio Tinto Stadium is located in Sandy, a southern suburb of Salt Lake City. The stadium lies slightly more than 12 miles south of downtown Salt Lake City and about 1.5 miles north of Sandy’s South Towne Center shopping mall. The stadium lies almost adjacent to the Interstate 15. Take exit 295 for 9000 South, turn west on 9000 South, and then right onto State Street. If using public transport, Rio Tinto Stadium can be reached with the TRAX light rail system. Station Sandy Expo, on the blue line, lies a 10-minute walk away from the stadium and connects the stadium with, among others, downtown Salt Lake City. Tickets for Real Salt Lake matches can be bought online, by phone +1 801 727 2700, or in person at the Box Office at the Rio Tinto Stadium. Tickets can also be bought on the day of the match at the gates of the stadium, though Real Salt Lake do sell out the occasional high-profile match. Ticket prices range from $20.00 for a seat behind the goal to $125.00 for the most central seat at the main stand. Realsaltlake.com – Official website of Real Salt Lake. Riotintostadium – Official website of the Rio Tinto Stadium. Visitsaltlake.com – Website of the Salt Lake visitors and convention bureau. Rideuta.com – Website of the Utah transit authority.